Having spent a good deal of my adult life in or around university settings, you’d think I’d be accustomed to the flow of people in and out of my geographic location. That’s the nature of a university and you come to expect that a lot of your friends will move away eventually. But I’m not accustomed to it. This week, we said good-bye to our neighbors. They are more than just neighbors, they are good friends. 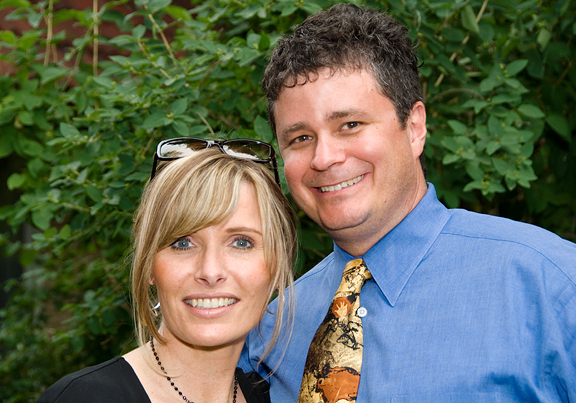 We have had all manner of “interesting” neighbors, but Tom and Kellie were the best ever. We kept an eye on each other’s houses when we were out of town. We borrowed their power tools, they borrowed our ladder. They were always willing to taste test my cookies, cakes, pastries, whatever! Anytime we dropped by for just a minute, it always ended up taking as much as an hour because we always had plenty to talk about, to share. We took care of each other’s dogs and cats when emergencies came up. We laughed and chattered together while shoveling the deep snow from our driveways in the middle of the night. So despite how crazy busy March had been (and continues to be), we had to have them over for dinner before they headed to their new home in Montana. As they drove away Friday afternoon, they honked good-bye. Jeremy told me Sunday morning that it feels lonely with them gone. It does feel lonely. We’ll surely see them this summer, but in the meantime – we are already missing them very much. Yet, part of this flux of people in my life involves those who are arriving and also returning. 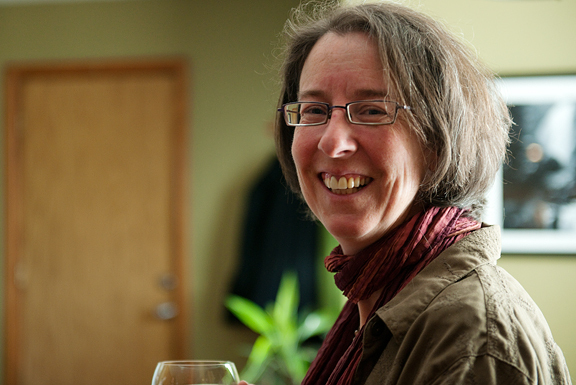 Our good friend, Marianne is finally back after months spent on the ice (Antarctica). 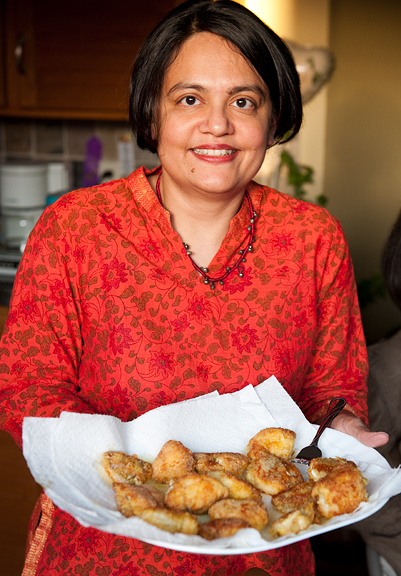 Manisha held a lovely dinner to celebrate her return as well as find an excuse to introduce us to some of her phenomenal regional cooking from the west coast of India. Oh mai!! Even though I cook and eat a lot of Chinese food, I am a little crazy for other Asian cuisines. I mean crazy. I think it might be because these cuisines are somewhat similar to Chinese but also very different. Like… Chinese but EXCITING. It’s exciting because I didn’t grow up eating these wonderful dishes that friends and fellow bloggers have introduced me to. Enter the dragon bibimbap. I first heard about bibimbap when my sister was in college. It’s what everyone went to get at a local Korean restaurant after late night study sessions. It wasn’t until graduate school that I had my first peek at a large bowl of bibimbap being served to a gentleman seated next to our table. I had always opted for the noodles (I am, afterall, a noodle girl). It had always tempted me. I’ve had the dish served to me once before, but… it didn’t really knock my socks off (my socks were still on my feet, see). After years of seeing posts on food blogs, I realized that there was way more to bibimbap than I had experienced. And anything with galbi or bulgogi has got to be good. I didn’t have any leftover galbi on me, so I marinated some sliced rib-eye steak and cooked it in a frying pan. There appears to be a great deal of flexibility with the vegetables and I went with those that were easy to whip up. I admit, I was fast and loose with the preparation because I had little time (fast) and don’t know what I’m doing (loose). Unable to hunt down the gochujang, I subbed in some Sriracha sauce instead – because you can never have enough chili sauce to clean out your insides. Most of the time is spent in prep and when you are done, you have a lovely arrangement of goodies to pile upon a bowl of rice. The beauty of bibimbap is that it’s anything you want it to be. I like that kind of flexibility and I also like that it is a great vehicle for cleaning up leftover vegetables. But unlike some dishes that have heaps of leftovers and taste like a heap of leftovers, bibimbap tastes like Awesome. I mean that in the best way possible. Meat, vegetables, rice, egg, spicy, crunchy, soft, savory, sweet, tangy. It’s a bowl of self-contained happiness. The galbi: If you have leftover galbi or bulgogi, use that. 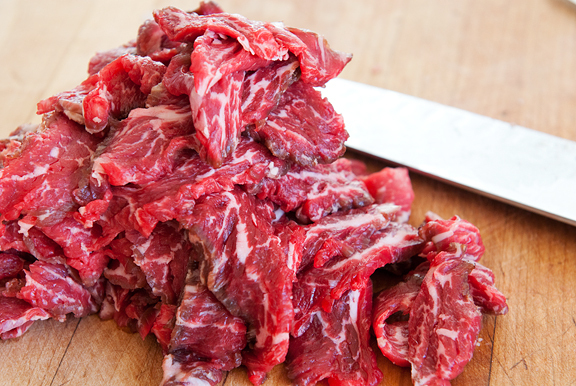 If you don’t, then find a cut of beef (flank steak, rib-eye steak, whatever) and freeze it halfway (or thaw it halfway if it is frozen) to make slicing it easier. 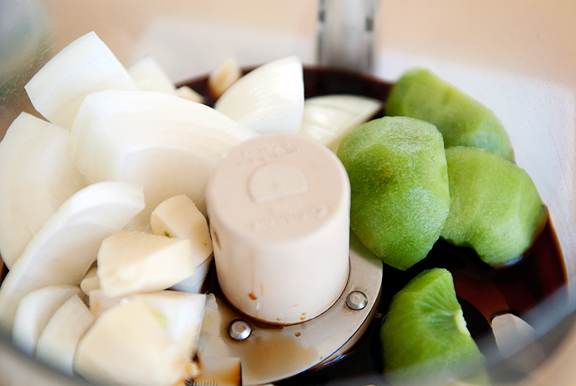 In a food processor, combine the kiwi, onion, garlic, and ginger and pulse into a purée. Pour the contents into a ziploc bag and add the soy sauce, sugar, rice wine vinegar, sesame oil, and black pepper. Seal the bag, moosh it about to mix. Then open the bag and pile in the sliced beef. Seal the bag, moosh it about some more to make sure all of the beef is marinating properly. Place in the refrigerator for 8 hours. When you are ready, pour a little vegetable oil in a frying pan and set on high heat. Place the beef on the pan in a single layer and let it brown (caramelize). Remove from pan. The sprouts: Blanch the sprouts in boiling water for 1 minute. 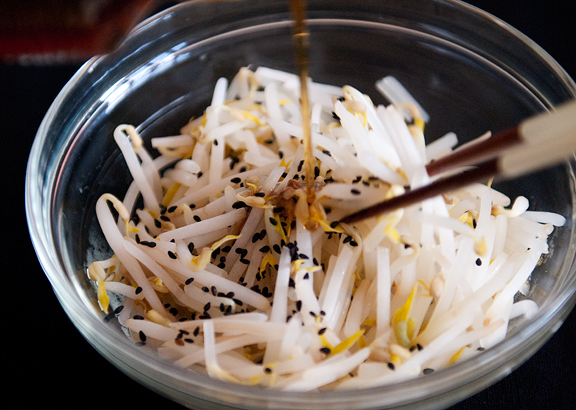 Drain and toss with sesame oil, salt, and sesame seeds. The spinach: Blanch the spinach in boiling water for 1 minute. Drain and squeeze the water from the spinach. 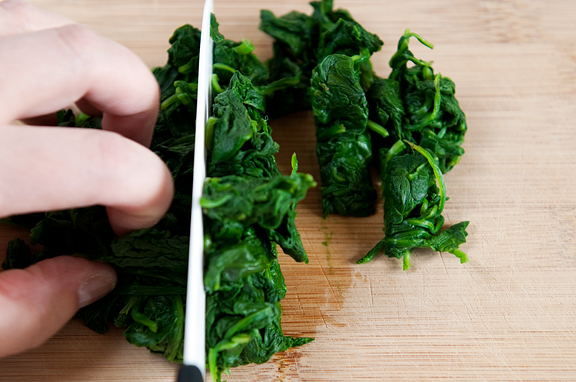 Chop the spinach and toss with sesame oil and salt. 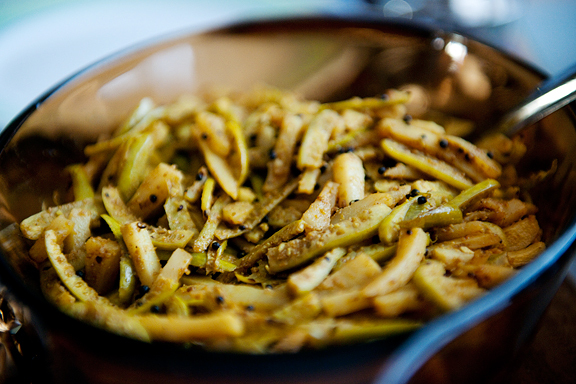 The zucchini: Heat the vegetable oil in a pan on high. 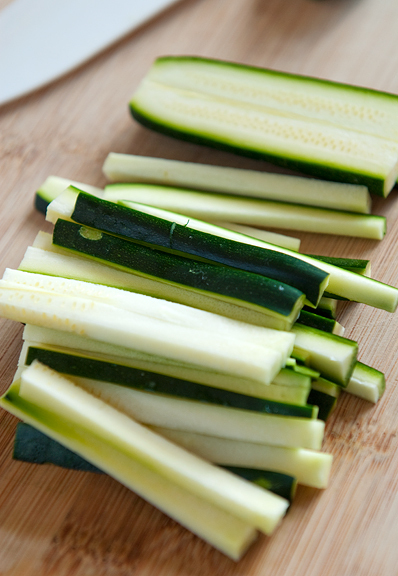 Toss in the garlic and stir a few times before tossing in the zucchini. 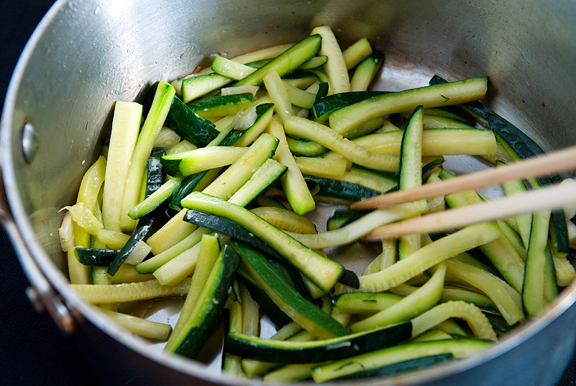 Season with salt and stir-fry until the zucchini is wilted. Assembly: Place the steamed rice in a large bowl (some recipes do a quick pan-fry of the rice into a sort of cake with crispy edges – I didn’t this time) and arrange the beef, sprouts, spinach, zucchini, carrots, kimchi, and pickled radish on top of the rice. Add a good dollop of gochujang and a dash of sesame oil. Set the egg on top in the middle. Serve. It’s been a while since I’ve had this dish, always in restaurants. Can’t believe I hadn’t thought of making it at home – I seem to have all but two of the ingredients in my kitchen! Thanks for solving the “What’s for dinner?” question for tonight. I was just recently introduced to bibimbap. Served in a heavy hot granite bowl it is the best thing you could possibly eat in the still cold Midwest! I love the flavors and would really enjoy making it at home. Thank you for the recipe. Mmm deliciousness! I love your pictures Jen! I think Korean food is my FAVE cuisine seriously, bibimbap, korean BBQ, kimchee, YUM! I’m learning more and more everyday that people really do come and go from your life. It’s hard to get used to. I hope your neighbors love your new place, and I hope some seriously awesome people move in next door! 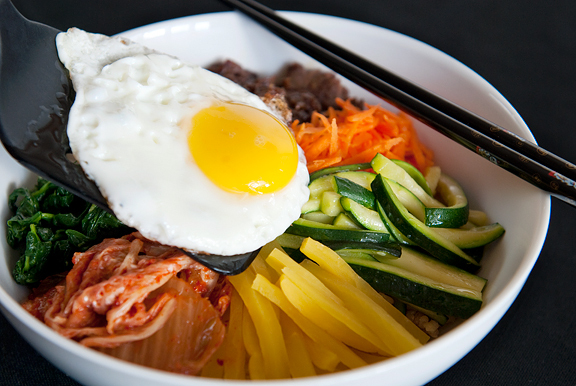 Unlike the campus cafeteria’s version of Bibimbap, yours looks absolutely delicious! I’d like to try this the next time I go home. Thanks for the recipe! Nice tribute to your friends, and beautiful colors in the bibimbap photos. very nice looking, althought for some reason, the word bibimbap scares me away and makes me think of a punching bag lol ! Never had bibimbap, or much Korean food at all. I just had sundubu a couple of times in the last few months. I have plenty of places to try more, so I should hop to it before I leave California. Sorry about Tom and Kellie. Even with the understanding that people do come and go, and for the right reasons and at the right times, it still stinks to miss good friends and neighbors. Boo on that. As another recent fan of bibimbap (introduction via a tourist guide to Stockholm none the less!) I would also like to thank you for this recipe. And still being somewhat in the university setting, I fully get the people come and go thing. I always find it comforting to bear in mind how great it is that so many great people are scattered all over the world! It looks delicious and so healthy. And anythig that is inspired by Ellie is going to be good. I love bibimbap.My first bibimbap was served in a hot stone bowl and had a raw egg on top. I just googled it to see if it was perhaps a regional variation. Wiki says it is a variation of bibimbap called “dolsot bibimbap”. During our entire time together Bryan and I have been lucky enough to have fabulous neighbours only twice. One became my best friend but now lives in Pittsburgh. The others will be here for a visit this week. OMG! I love it! Love it! 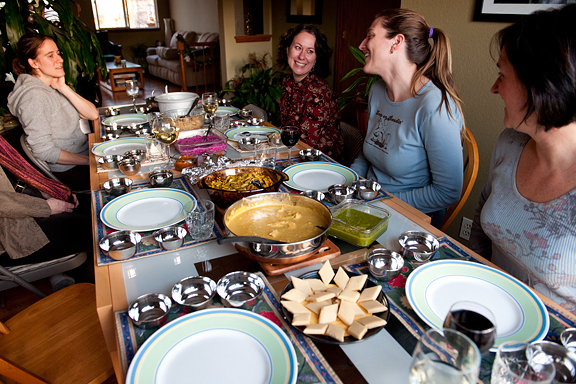 I love how my family mixes it all up with a big spoon and divides it around the table. Maybe I should try making my own…? I was once at a Korean restaurant and tried to eat my bibimbap without mixing it up, and this so distressed the man working the counter that he came over to tell me I was wrong. I’m learning Korean now, so I was excited to see that you made this dish!! It looks beautiful, but I can’t get past the egg…I guess I could scramble my egg, but that wouldn’t be authentic. I wish I were your neighbor. I would try out EVERYTHING you make. I’m so glad you made this dish. Working in the newspaper industry is a lot like that; I’ve made a lot of friends who now live all over the country! What a wonderful meal. I love that it can be shared! And never apologize for a fried egg around me. Sometimes I think I live off them. I love Bibimbap and this looks fantastic. This makes me want to hit up the Koreatown Galleria! And that last photo is breathtaking. Sounds like when Camille and Hill and the twins moved away. Good people are around. I hope you get another set of fabulous neighbors. I know I want to be one of them…and we have the 2 crazies to entertain K :) and I can eat that whole plate…now that’s real advertising for you!! i always get dolsot bibimbap if i can! dolsot simply means it’s in a stone pot. Regular bibimbap would be in a regular bowl. the great thing about the earthenware pot is that it retains heat amazingly well and is as versatile as a dutch oven. my grandmother places it directly on the stove to cook stews. i heard some people say that it must be made with a specific type of clay to have all the right properties a ddukbaegi (another name for the pot) must have. the best part of eating dolsot bibimbap is when you finish, there is a nice layer of crispy rice that formed on the bottom from the pot’s residual heat–this is like the crispy rice you get at the bottom of a pan of Spanish paella. and as for the article, you’re right, there is SO much more to bibimbap than meets the eye. At first it looks like a bowl of veggies and rice, but each element must be prepared carefully. I’m a rice AND noodle boy (er… man) but I’ve oddly never had bibimbap before – other things on the menu usually entice me first. I’ve a feeling that’s going to change..
We LOVE bibimbap! It’s the perfect recipe for “oh shoot, I have too many veggies in the fridge and don’t know what to do with them!” We always have the ingredients and it’s a nice, throw-together recipe. Now if only we had the stone pots to cook it in… love it when the rice gets all crispy around the edges! My mother in law loves the kiwi for meat marinades, too… but I have seen soda used occasionally for the same purpose! Sorry about your awesome neighbors moving! :( However, the shindig at Manisha’s looks so fun, and bibimbap (besides being very fun to say) is a gorgeous bowl of goodness! I’m looking forward to trying it at home! 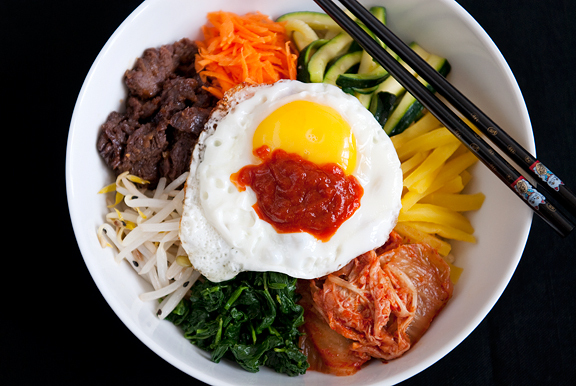 The bibimbap does look like a bowl of happiness! this recipe is great, but it is great times a million if you serve it in a dolsot (hot stone bowl). the bowl makes a crunchy layer of fried rice and keeps everything hot. i love hearing the whole thing sizzle when i sit down to eat. it is OMG amazing. dolsots aren’t cheap and take up a lot of storage room though. What a beautiful tribute to your friends! Life is fleeting and chances to hang with our friends even more so. Altho I DO think of this every day, it’s so nice to be reminded of it by lovely prose & pix. I’ve always loved this dish, your take on it looks fantastic and your photography is amazing! Looking forward to your next post! I love all the fresh vege in this!! Sorry that your good friends are moving away. Good neighbours are far and few between! Oh JEEZ I’ve always wanted to make this. Thanks for making it look so easy :) Sorry about your neighbors, though. I understand the feeling having had a childhood where we moved due to my father’s job. You make a lot of friends, but it’s hard letting them go. Nice that it’s so much easier to stay in touch these days, right? Hugs. You can find go-chu-jang and various other Korean (& many other Asian) ingredients and foods at the HMart in Aurora (not far from Boulder). Also, the egg on top of bibimbap is supposed to be fried (as you did) not poached. How amazingly colourful! I absolutely adore bibimbap, especially when cooked in a dolsot, for that magical crusty bit of rice on the bottom. Bummer about your neighbours moving. I love mine, and often feed them cake too, but we don’t have as close a relationship as you have with yours. The first time I had bibimbop was in a restaurant here in Chicago, many years ago. I might look Korean, but I’m Japanese — so when I started eating the bowl of goodies, all separate, the server looked at me as if I was crazy! I explained to her that I am not Korean, and she laughed and said, “You’re supposed to stir it all together. Let me take it to the kitchen; we will combine it, and reheat it too.” So yes, as Miranda and Daiming Zhu mentioned, stir that bibimbop before eating! I am lucky to live in an area of Chicago where I can get either the ingredients from grocery stores, or the finished product in restaurants, within walking distance. Thanks for the lovely website and great photos of one of my favorite Korean dishes! I’ve always loved ordering bibimbap, especially when it’s served in a super hot stone bowl, so I was inspired to give your recipe a try. I was surprised by how authentic the galbi tasted — the marinade looked really dark and I expected it to be too salty, but it was *perfect*. I was lucky enough to find a jar of gochujang at a local Chinese market; the dish was beautiful to look at and delicious to eat! Thank you for sharing this awesome recipe. It’s my first time trying a URB recipe, but it certainly won’t be my last! Kaitlin – thanks. We’re keeping fingers crossed on the new neighbors too. Kitt – not sure if the kiwi is typical, but I quite like it in the galbi recipe (I got it from Sarah who runs Tastespotting). Miranda – ha ha ha!! 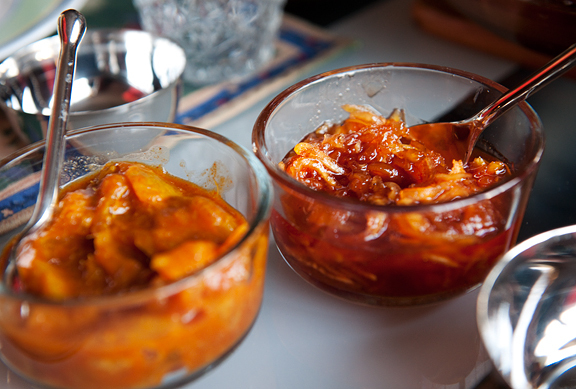 Manggy – you’ve got to try it, I know you’ll like it :) I’ll take the spicy of your land anyday, but minus the sun – ha ha ha. Kath – you’re such a sweetheart, always. I always have this dish in restaurants. And i really envy you that you mnanage to make one right at the comfort of your home. This is somehow a tedious recipe, but I think I won’t mind, the result is heavenly. By the way, nice photos. I LOVE bibimbap in a hot bowl! When my husband and I lived in S.Korea, I ALWAYS ordered it in a hot bowl. They would crack a raw egg on top and I’d mix it in so the hot bowl would “cook” the egg. There’s no way to describe the amazing creaminess of the rice when bibimbap is served and eaten this way. Sadly, b/c the restaurant was on US soil, the “powers that be” decided that cracking a raw egg on top of a dish was unsafe, so the dish was always served with a fried egg on top. I must say, it was not even close to as amazing as the one in the hot bowl, but it was still good. I’m SO glad to have come across this post because it had not ever occurred to me to make the dish at home, AND it would be easy to recapture that creaminess with a poached egg! I’m so excited! :-) Thank you! (Oh, and you must try it in a hot bowl if ever you get the chance). This is a great recipe but there is one thing I have to mention. Though I love Sriracha sauce (both the real Thai version and the Huy Fong types) you really should use gochujang. I have to disagree with a previous poster that said Sriracha is not heaps different from gochujang–it’s heaps and heaps and heaps different! My Korean friends also tell me that bibimbap can be made many different ways with many different ingredients and the only requirements are the rice and gochujang. bibimbap is one of my family’s favorite meals and one of my favorite to cook because it is so simple! I actually have never had it at a restaurant, but have a huge love for anything Korean. 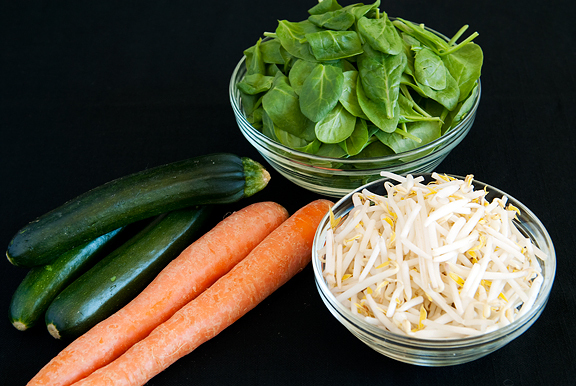 we prefer our veggies cold and uncooked…it lends a nice crunch and freshness to the dish. I also have never heard of this sauce that it should be made with I.admit, but I have always mixed equal parts brown sugar and sriacha to drizzle on top and it is delicious. the previous comment about.cracking a.raw egg over top is a brilliant alternative to the fried egg as well! I’m a huge fan of carbonara pasta because of the creamy sauce, so I’m going to definitely try this method! 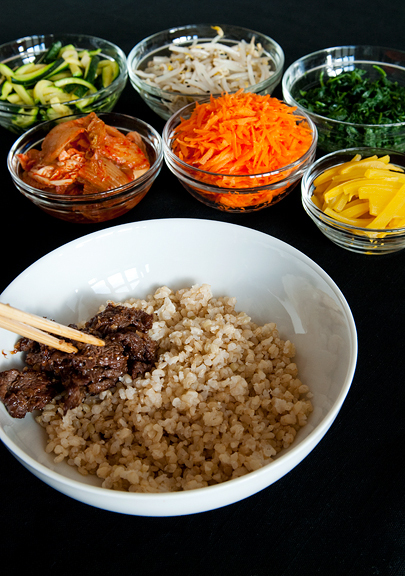 I love Bibimbap in lots of variations, and this looks like a great one! Plus or minus an egg is always a decision…and I love sautéed shiitakes finished with mirin. TOTALLY makes/unites the dish. Very worth getting/including, easy to find in Asian grocery stores.